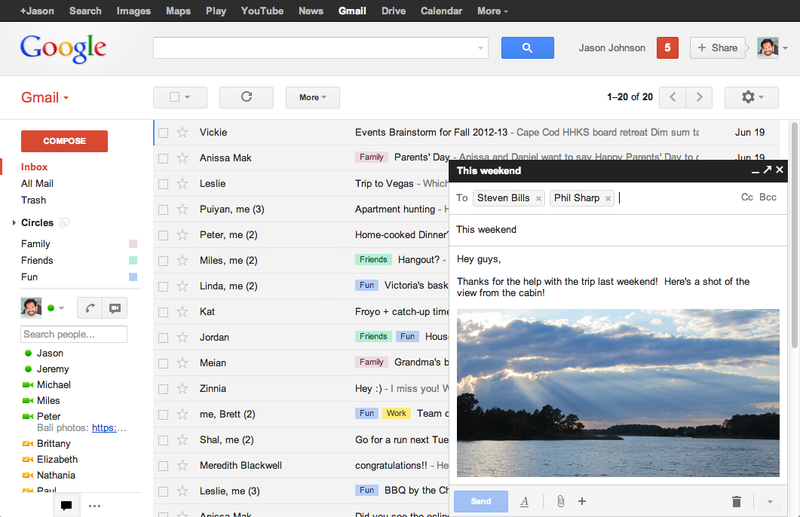 Last October, Google introduced the new email compose window as an option for Gmail users and starting today, this will become the default. 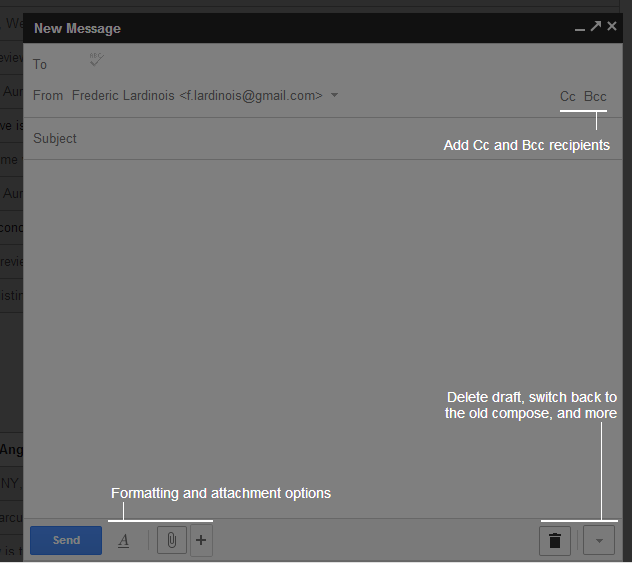 The new compose experience, which is essentially a pop-up window that appears on the right side of the screen, is easier to use, faster and makes it easier for Gmail users to multitask, Google says. In return, however, it’s now a bit harder to find text formatting options like underline, indent, numbered and unnumbered lists, etc. (you can, of course, also still use the same keyboard shortcuts as before). The new compose experience will roll out over the next few days. It looks like Google will still allow users to switch back to the old compose windows for a while, but it’s not clear for how long. A Google spokesperson told me that the company has not set a timeline for this. The new experience breaks the integration with Rapportive (recently acquired by LinkedIn) and similar services (though Boomerang apparently works just fine with it) which previously lived in the right-hand sidebar of the compose screen. You can still use Rapportive while you are reading emails, of course, but the new compose windows have no sidebar (and hence also no ads), so it’s not clear where these tools would present their information while you are composing emails. Thankfully, it looks like the old compose window will still be around for a bit longer, but we’ll have to see for how long. On the positive side, though, the new compose window makes it easier to multitask, as you can open multiple compose windows next to each other, though things get rather confusing once you open more than two. The new compose window is also close integrated with Google Drive and makes it very easy to attach documents from Google’s cloud storage service.